Click here for the "Claire" bear! 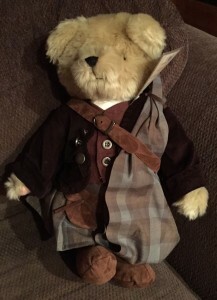 Bear stands ($6.00 each) are also available for displaying your OUTLANDER bears. 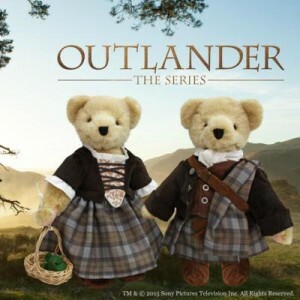 OUTLANDER toys by Funko ordered from the Pen also now include autographed tags. Order online or come visit them in person at The Poisoned Pen where they are guarding OUTLANDER books and other merchandise. Autographed copies of the Official Outlander Coloring Book ($16.95) and all of the OUTLANDER books, Lord John series, and volumes of the OUTLANDISH COMPANION are available. 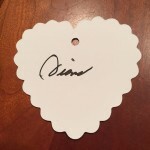 Click here to view or order any item. 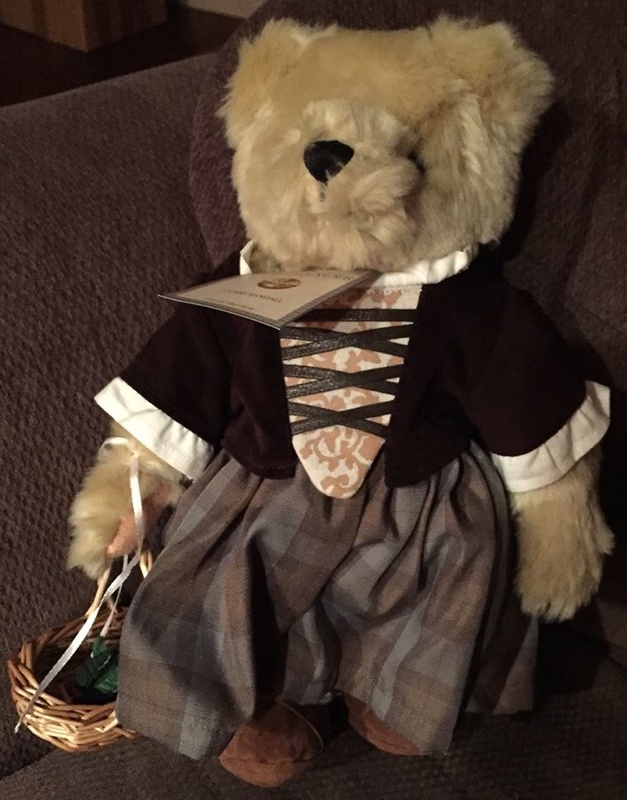 Click on the “Claire” bear at right to see it in more detail. Click here for more information on autographed copies of Diana’s books from the Poisoned Pen. This page was last updated on Saturday, December 5, 2015, at 2:00 p.m. by Loretta, Diana’s Webmaster.